ESIPOVO, Russia -- Daimler AG officially opened a Mercedes-Benz factory near Moscow on Wednesday at a ceremony attended by CEO Dieter Zetsche, Russia President Vladimir Putin and several top corporate and government officials. The ceremony marked a rare foreign investment into Russia's car industry. The plant in the town of Esipovo 25 miles northwest of Moscow is the first in years to be opened by a foreign carmaker in Russia where investment into the once burgeoning auto industry dried up amid western sanctions and a stagnant economy. 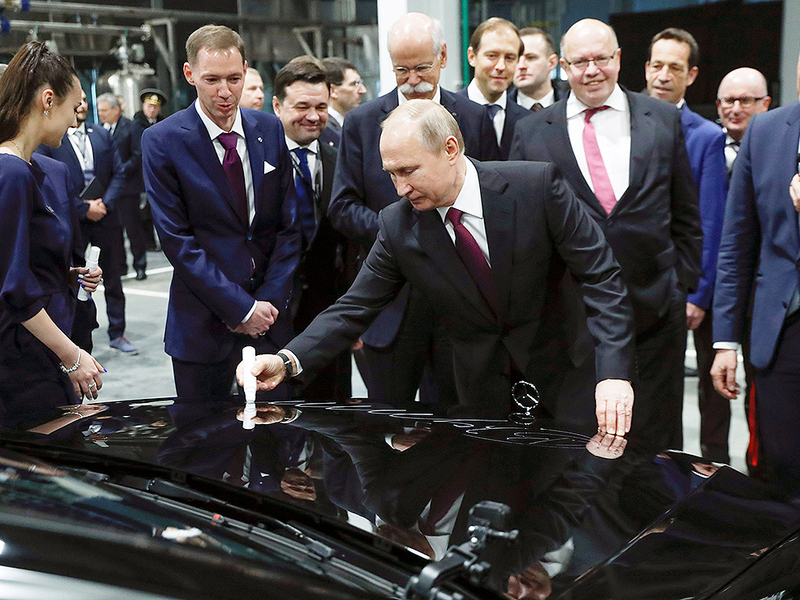 Speaking at the inaugural ceremony, Putin said the plant would produce 25,000 cars a year and that investment in the project had totaled 19 billion roubles ($291 million). Daimler said the investment was 250 million euros ($280 million). Putin said the factory, built after Daimler signed a deal with Russian authorities in early 2017, would employ almost 1,000 people.